Three months later, she voted for the AHCA, which would have allowed insurers to do just that in some cases. She was against it before she was for it. “Health-status underwriting” was a disaster of the insurance market, one of the chief reasons that for so many years, a cancer diagnosis was often coupled with a bankruptcy. Banning such pricing was one of the most important and popular features of Obamacare; the move to allow it to come sneaking back was among the top reasons that virtually every health care organization in the country came out against the AHCA, aka Trumpcare. The law would have allowed states to obtain waivers granting insurers the ability to charge higher rates to sick people who had not kept up their insurance coverage. The waivers included conditions, such as the creation of special high-risk pools, intended to help offset the higher costs for patients. Fact-checkers and health care experts piled on, arguing that such an exception had one likely result: “Health status underwriting could effectively make coverage completely unaffordable to people with pre-existing conditions,” professor and author Timothy Jost wrote in the journal Health Affairs. 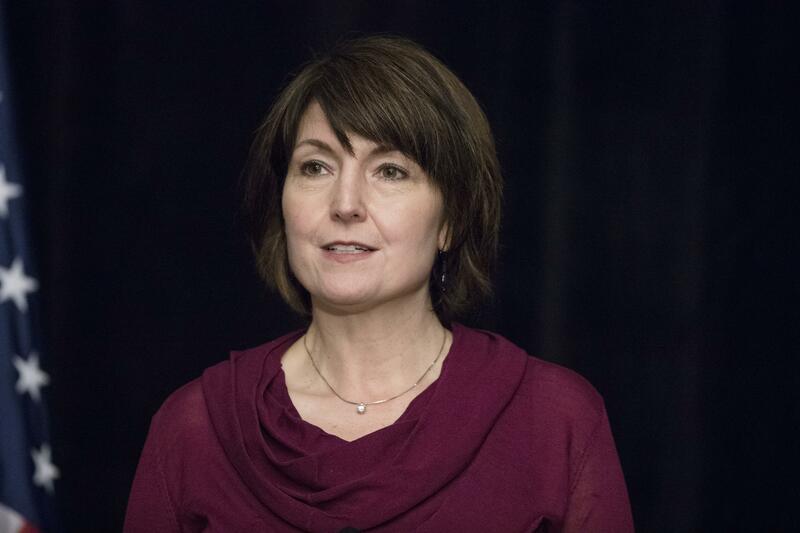 The AHCA is dead and buried, but McMorris Rodgers is sticking to her story. Last week, in an interview on KREM, she was asked, “And so you would not vote for legislation that did not have protection for those with pre-existing conditions? Which seems like the wrong answer, given that she voted for a bill that would have allowed states to charge some sick people more money for being sick. The congresswoman says she does not see it this way. Last year, and this week, her representatives told me that because the AHCA would only have allowed health-status underwriting in those cases where someone hadn’t maintained continuous insurance coverage, that most people with pre-existing conditions would not be affected. Most is pretty much the same as all, I guess. And, they argued further, in cases where people were affected, they could only be charged more by insurers for a year. Those folks would get help, she and other supporters of the law said, from high-risk pools, which cordon off sick people into a subsidized insurance population that pays higher rates, while everyone else in the other pool pay less. Somehow, the congresswoman’s position is that allowing only some sick people to be charged for more insurance, and for only a limited period of time, is the same as not allowing any sick people to be charged more for insurance at all. I asked Jared Powell, McMorris Rodgers’ spokesman, whether it was accurate for her to say she had not voted to weaken protections for pre-existing conditions. A lot of this defense hinged on the high-risk pools, about which many experts were dubious. Some states had seen some success with them, others had not, experiencing steep price hikes and inadequate funding. The key to making such pools work, analysts said, was sufficient subsidies to prevent costs from burying those with pre-existing conditions. One study, funded by the Robert Wood Johnson Foundation and conducted by the Urban League, estimated that the AHCA fell far short from providing enough funding to make the pools effective and would have left 6 to 7 million people with pre-existing conditions without coverage. Health care politics is complicated. Politicians can mislead by simply saying the humane-sounding thing and hoping no one pays attention to the details. McMorris Rodgers has said all along that she supports protecting people with pre-existing conditions. It’s a top priority, she says. A fundamental principle. She has said all along: She opposes charging sick people more for health insurance. She said it when sponsoring a law to outlaw the practice. And she said it when voting to allow it. Published: April 18, 2018, 6 a.m.